The day is nearly upon us – the Southwest Stint team are setting off early tomorrow morning! One of the charities that we have been supporting through the sponsorship of this great event is the RNLI. 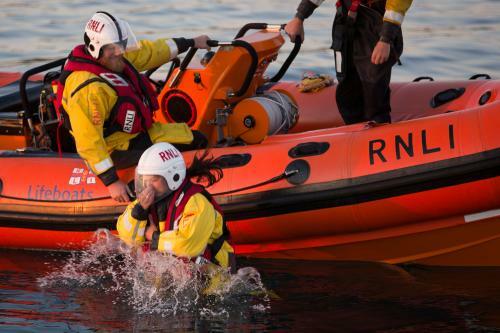 Roughly 170 people die around the UK coast every year – the RNLI is a hugely important cause to support because it aims to halve this figure by 2024. During 2015, the team at RNLI, of which 95% are volunteers, rescued 7,973 people and saved 348 lives – if it wasn’t for them, the annual number of lives claimed by the sea would be much higher. 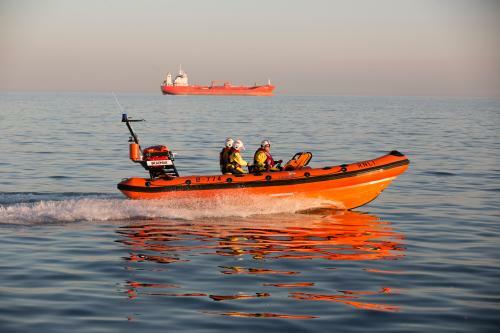 The RNLI provides a 24-hour search-and-rescue service, patrolling 230 beaches and covering 19,000 miles of coastline. The organisation is so efficient and wide-spread, it’s hard to believe that it isn’t a governmental emergency service. We are hugely lucky to have them. However, such a large and efficient service isn’t cheap – it costs £460,000 a day to run. That’s almost £168 million a year! This is why it is so important that we donate and work hard to support this unbelievable charity. From the beginning of 2017, the RNLI will only be contacting people if they have given their permission for it to do so. Therefore, it is particularly important that we spread the word now as it will become harder to contact people who could potentially donate. The charity raised an amazing £184 million in 2015 and we must ensure that they continue to receive plenty of donations. We have donated recently and intend to continue doing so – we hope you will do the same! We want to spread awareness about how amazing this charity truly is, and to encourage people to appreciate how lucky we are to have the RNLI operating on our coastlines. We all enjoy coastal holidays, meaning anyone can end up in a life-threatening situation needing urgent help – thank them now instead of later!